The Washington Spirit will hold a one-day open tryout on Friday, February 19th (rescheduled from January 22nd) at the Maryland SoccerPlex for the Washington Spirit pro and Washington Spirit Reserves teams. The tryout is open to players 18 years of age and older. Interested players with previous college or professional experience are invited to register for the tryout online. The registration form is available at https://washingtonspirit.wufoo.com/forms/2016-washington-spirit-pro-team-reserves-tryouts/ Athletes can register up to an hour before the tryout but are encouraged to register early. The registration fee for the open tryout is $50. The one-day open tryout will consist of two training sessions with one from 2:00p.m.-3:30p.m. and a second from 3:30p.m.-5:00p.m., led by Spirit general manager and head coach Jim Gabarra. Both sessions are mandatory. “We are always looking for players, and the open tryout is an opportunity for players to impress our staff and earn a spot in our club,” said Gabarra. The club’s aim is to identify players who have the ability to play on the Washington Spirit pro team in the National Women’s Soccer League (NWSL) and on the Washington Spirit Reserves team. *Attendance at both sessions is required. Check in: Please check in 30 minutes prior to the start of each session. A participation waiver will need to be signed at the field prior to participation, and proof of health insurance must be shown. Cleats are not allowed; indoor shoes are. 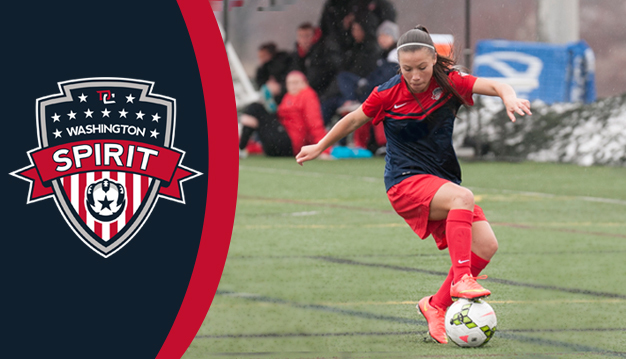 For additional information on the tryout, please email Jim Gabarra at jgabarra@washingtonspirit.com. Washington Spirit 2016 season tickets are available now by calling 301-337-8579 or by visiting our website.